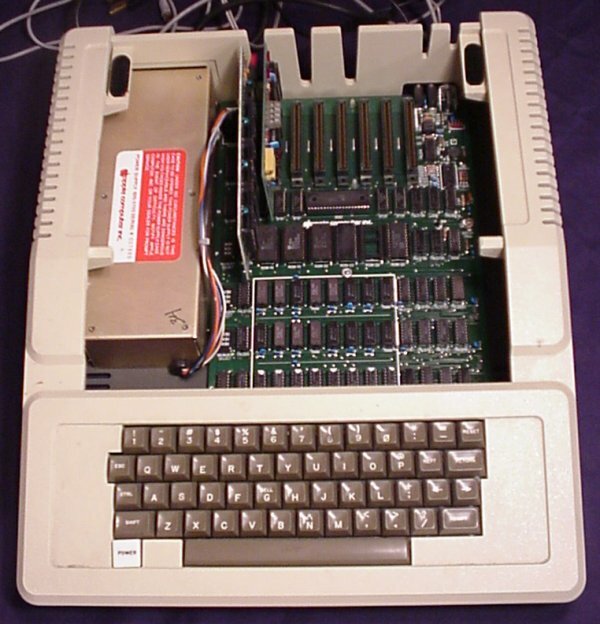 Here it is, the original Apple ][. Darling of schools everywhere. If you're anywhere near my age, late 30s, then you used one of these. Woz is god. Shot with the top off. 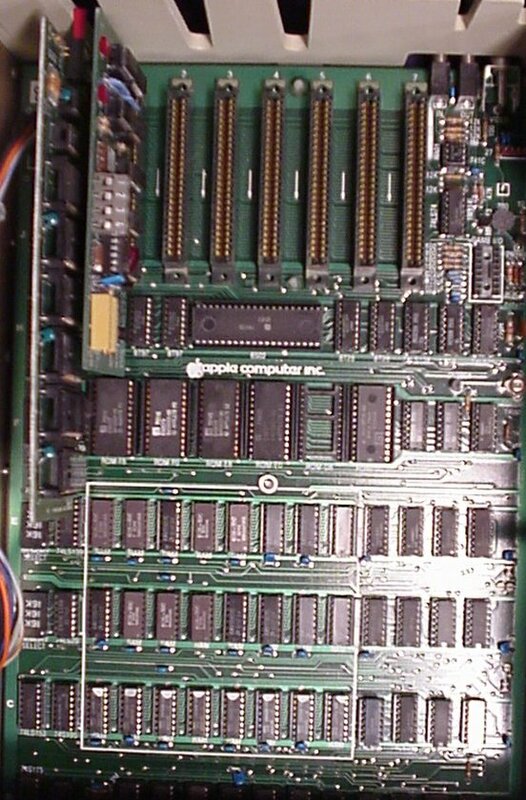 Power supply on the left, system board on the right. Backside. All those holes are for cables for drives and the like to snake their way out. 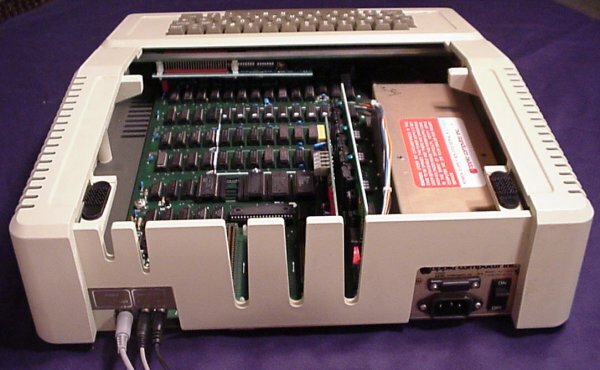 The plugs at the lower left are for storage on cassette tape. Clean design, a Woz hallmark. 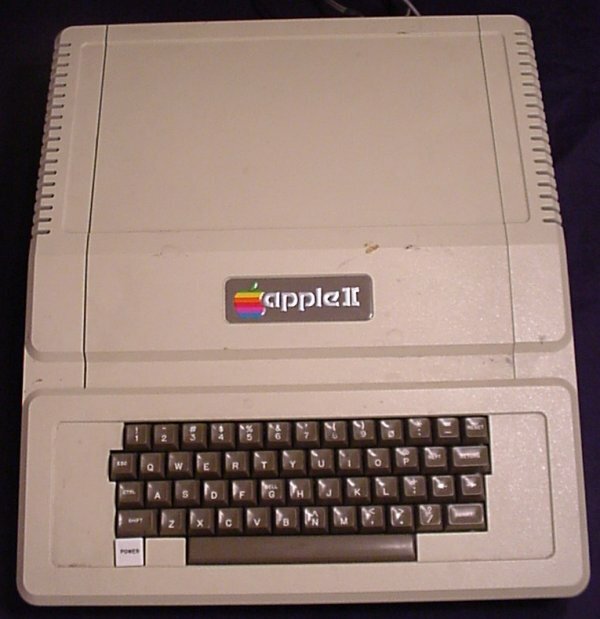 Click here to view all comments for the Apple ][ and to leave your own.